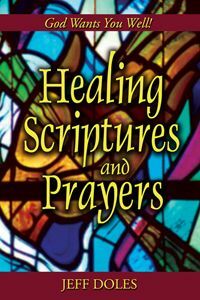 Scriptures and prayers to build your faith and help you receive the healing God has for you. The Bible says that "Faith comes by hearing, and hearing by the Word of God" (Romans 10.17). The Word of God reveals the will of God, and so enables us to pray effectively. "Now this is the confidence that we have in Him, that if we ask anything according to His will, He hears us. And if we know that He hears us, whatever we ask, we know that we have the petitions that we have asked of Him" (1 John 5.14,15). Healing is the will of God for His people, as these Scriptures show, so you can pray confidently, knowing that He hears you, and that you will receive your healing.